The Walking Dead rises again this summer! Anchor Bay Entertainment has just announced that the fifth season of AMC’s hit zombie drama will be released on DVD and Blu-ray + Digital HD combo pack on Tuesday, August 25th. 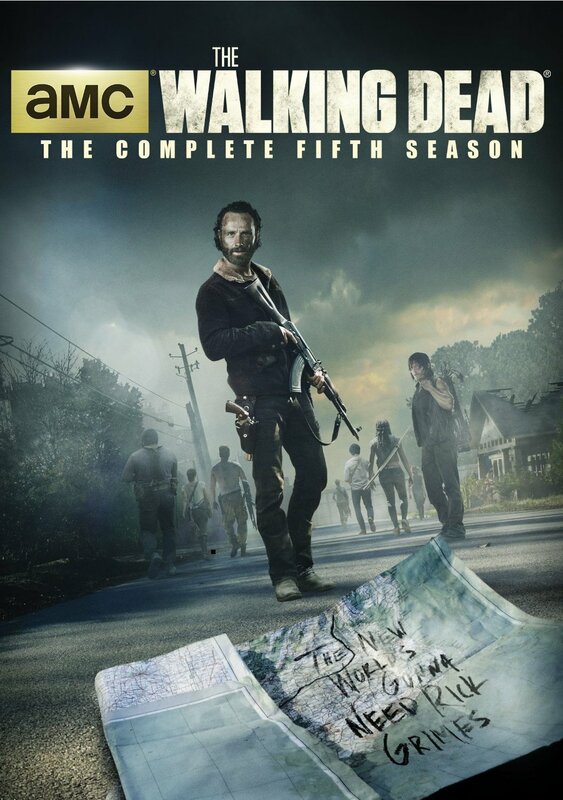 Season Five opens with Rick and company having to make their way out of Terminus after it is revealed that its inhabitants are murderous cannibals. Of course the zombie hordes are there, too. Gareth is hot on the group’s trail, too. Along the way, loyalties are once again tested as are the wills of the survivors in a number of situations. Season Five will come complete with roughly three hours of bonus material for true diehard fans. Those bonuses are listed below. AMC’s drama Halt and Catch Fire just kicked off its second season over this past weekend. The series, which is centered on the earliest days of the personal computing boom, proved over the course of its first season to be one of the network’s most surprisingly entertaining shows. Now thanks to both AMC and indie studio Anchor Bay, audiences can see Season One for themselves and catch up with this provocative human drama before Season Two gets moving too much. That is because Halt and Catch Fire: The Complete First Season is currently available in stores and online on Blu-ray + Digital HD combo pack and DVD + Digital combo pack. Viewers will see in watching the series’ first season that even if they are not interested in the history of the personal computing industry, they will still find plenty to like beginning with the series’ writing. Between the story that gradually develops over the course of Season One’s ten total episodes and the development of the show’s characters, the show’s writers have hit on something special here. It is something that effortlessly keeps audiences coming back for more. The work of the show’s main cast is just as notable in its enjoyment and success, too. The cast members do just as much to bring the characters to life and pull audiences into the show’s universe. 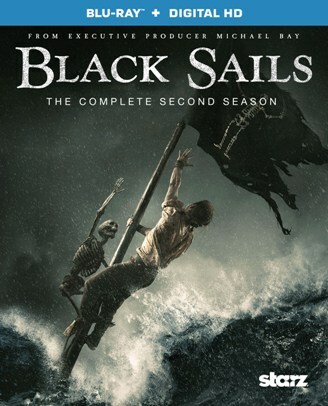 The work of the series’ crew—more specifically the series’ costume and set designers—puts the finishing touch on the show. Thanks to their painstaking efforts, audiences really feel like they are looking back in time in watching each episode of Season One. This makes suspension of disbelief infinitely easier. It brings everything full circle. That is because the audiences’ ability to easily suspend its disbelief leads to more time to focus on the combined efforts of the series’ writers and cast. Focusing on those elements, audiences will see for themselves just how much was done right with this series in its first season. In turn, audiences will agree that Halt and Catch Fire: The Complete First Season makes for one of this year’s best new box sets for grown ups. Halt and Catch Fire showed in its debut season to be one of the most surprisingly entertaining series not just in comparison to AMC’s other series but in comparison to dramas across the board. It proved by and large to be a series that even those not interested in computer engineering, and all related topics would enjoy. The main reason that it proved to be so surprisingly enjoyable is its writing. It would have been so easy for the show’s writers to focus mainly on the computers and related tech topics in this series considering that the series is in fact centered on the start of the personal computing boom. Thankfully, the writers didn’t take that easy, formulaic way out. Rather, they made sure to make the actors and the story itself the star of the show. They focused on story development and character development alike. Within the story development, the writers made sure to not let every episode end in a cliffhanger or even pseudo-cliffhanger unlike so many other serials out there. Yet somehow, they managed to leave audiences wanting more at the end of every episode. More simply put, none of the episodes’ closing moments felt forced, again unlike so many other serials out there today. Even within the episodes themselves, at no point does the writing feel forced. Even being a historical fiction for all intents and purposes the writing within each story feels natural. In turn it makes suspension of disbelief all the more believable. That means that audiences will that much more easily be able to allow themselves to be pulled into the series’ world and feel more like they are right there than just sitting there watching a TV show. That is a real tribute to the series’ writers and proves clearly why the writing behind Halt and Catch Fire: The Complete First Season is central to its success and enjoyment. The writing behind Halt and Catch Fire is central to it success and enjoyment in its debut season. As noted, the show’s writers went to painstaking lengths to make sure it didn’t turn out like so many other serials out there today. Their efforts paid off greatly, as audiences will see through all ten Season One episodes. While it boasts its own level of importance to the series, it is only one part of the first season’s success and enjoyment. The work of the show’s cast is just as important to its success and enjoyment. That having been noted, Lee Pace (Guardians of the Galaxy, The Hobbit: An Unexpected Journey, The Hobbitt: The Desolation of Smaug), Scoot McNairy (Argo, Non-Stop, 12 Years A Slave), and Mackenzie Davis (That Awkward Moment, Smashed, Breathe In) were the perfect choices for their roles. From the season premiere to its finale, all four actors keep audiences completely engaged. Pace makes it so easy to hate Joe McMillan yet want to know who he really is and what he really is. In the same vein, McNairy made it just as easy for audiences to root for Gordon and even feel sorry for him as he was ripped from his workaday life and pulled into Joe’s plan; a plan that sees Gordon reach great highs and equally low lows. Davis’ portrayal of Cameron is worthy of mention, too. That is because just as with her cast mates, she embraced her role. In embracing her role, she really brought out Cameron’s contradictory mix of self-confidence and innocence. The result here was a character that is just as believable as Gordon, which is perhaps why the duo was so entertaining together throughout Season One. She is the stereotypical young person who is in reality just as innocent and naive as she is self-assured. Davis never overdoes it or underperforms in her presentation in this regard. She gets it just right throughout. The same can be said of McNairy and Pace in the handling of their respective characters’ personalities. Collectively, their on-screen work in every avenue makes them entirely believable. Their portrayals coupled with their interpretations of the writers’ scripts makes for that much more enjoyment. It shows yet again just how much this series has to offer audiences even in its debut season. That being the case, it shows why the series’ first season set is one of the year’s best for grown ups. The combined work of both the writers and cast in Halt and Catch Fire’s first season gives audiences plenty to like. It makes this season’s set well worth the purchase and the watch. As pivotal as both parties’ work proves to be it still is not all that makes the show’s first season a surprise hit. The work of the show’s costume and makeup department coupled with that of its set design crew is just as key to the overall presentation of Season One. All involved went to their own painstaking efforts to re-create 1980s-era America. From something as simple as the design of Gordon’s glasses to more complex elements such as the women’s hairstyles to the cast’s clothing styles in whole, the costume and makeup department made certain to make the characters look like they came right out of a time machine. On the level of the show’s sets, Gordon’s house and his car are key examples of how hard those charged with reproducing the bigger look of the time worked to bring that era back to life. One could even cite the arcade in which Joe first met Cameron or the store from which Gordon stole the Cabbage Patch Kid as prime examples of how hard the show’s production crew worked to re-create the look of the times. There is much more discussion on this aspect of the show’s success in its bonus feature “Re-Making The 80s” that does an even better job of explaining the importance of the work put in by those behind the cameras. The insight offered through this discussion makes completely clear the importance of their work. In understanding the importance of said individuals’ work, audiences will hopefully see once and for all just how much went in to bringing Halt and Catch Fire to life even if only in this aspect. It is hardly the least notable element of the show’s success and enjoyment. 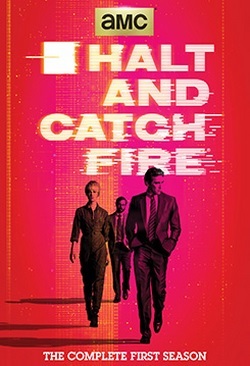 Coupled with the combined work of the show’s cast and writers, all three elements together prove once and for all why the first season of Halt and Catch Fire is so surprisingly enjoyable and why the season’s box set is in fact one of this year’s best for grown up audiences. World War II is known today as one of the worst conflicts in human history. The destruction caused by the war and the war’s human cost was devastating to say the least. We have that knowledge thanks to those that survived and through extensive documentation both on paper and film. The combination of these elements has in many cases been translated into some of the most powerful and memorable stories of all time. Stories like that of Oskar Schindler, General George S. Patton, Jr., the battle of Midway, and the crew of the famed Memphis Belle are just some of those countless yet powerful stories that have come from one of the world’s worst conflicts. 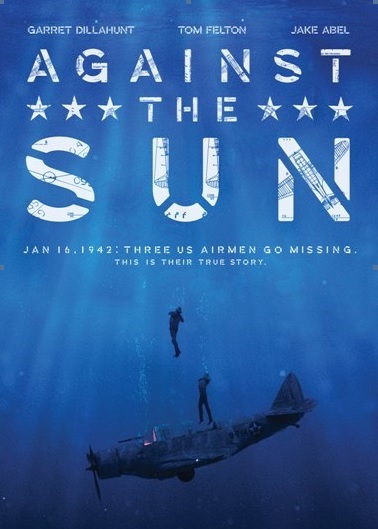 Now this spring, Anchor Bay Entertainment and Amplify Releasing will add another equally powerful story to those ranks when it releases the human drama Against The Sun. 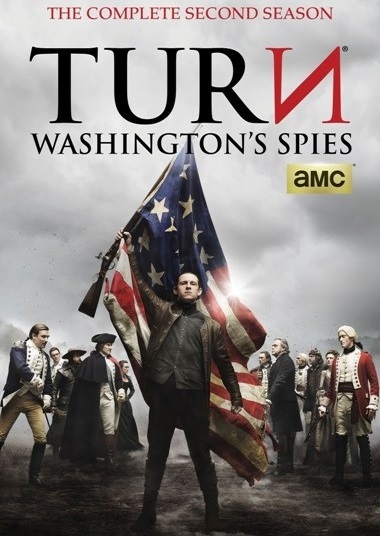 Anchor Bay Entertainment recently announced the upcoming home release of AMC’s hit period drama Turn–Washington’s Spies: Season 1 on DVD and Blu-ray this spring. Now not long after that announcement comes the announcement of another AMC series coming home. 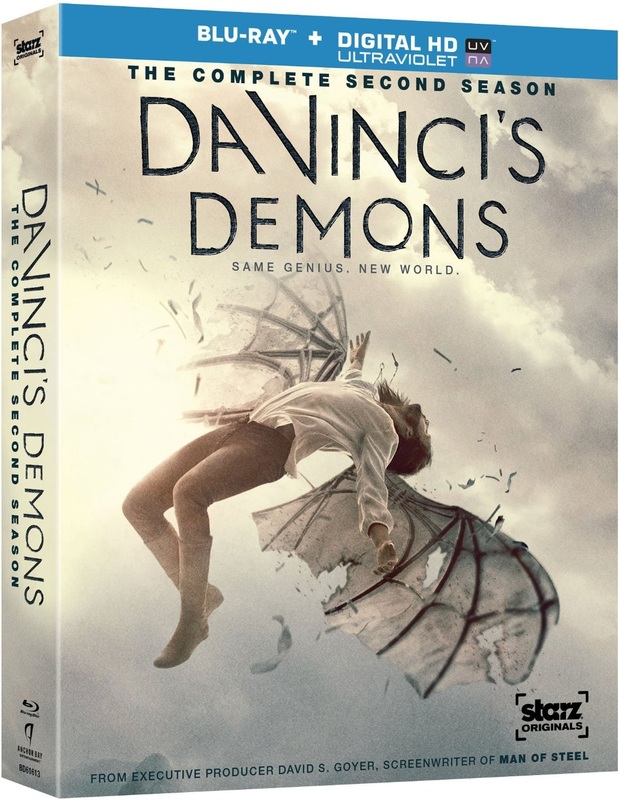 Season One is composed of ten episodes, which will be spread across three discs in both its DVD and Blu-ray + Digital HD combo pack presentation. Both sets will have a handful of bonus features including look at how those behind the cameras re-created the series’ 1980s backdrop, the rise of those at the forefront of the digital revolution in its early days, and more. the complete list of bonus features included on both sets is listed below.